Getting more of it could slash your risk of dying from some of today’s deadliest diseases by up to 24 percent. Get a bit MORE of it, and your chances of ever getting any of those illnesses in the first place can plummet up to 27 percent. In fact, for each eight percent increase in your diet your risk can drop even FURTHER. Perhaps a pricey new prescription drug? Maybe an exclusive procedure reserved for the rich and famous? Or possibly an exotic treatment found only in the most remote regions of the rainforest? Nope. 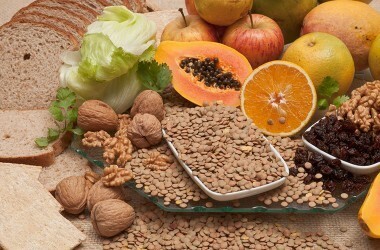 Incredibly, I’m talking about simple, everyday dietary fiber. That’s right. The answer to health and longevity could lie in grandma’s favorite remedy for digestion problems. And you aren’t the only one who is surprised. The researchers were caught off guard by the results too. When the team of scientists started their analysis, they had no idea just how far reaching the fiber benefits would turn out to be. And as if reducing your risk of dying weren’t enough, it turns out eating more whole grain, and fiber-rich foods could keep you from getting sick in the first place. For every eight grams increase in dietary fiber folks munched on, total deaths and incidents of type 2 diabetes, heart disease, and colorectal cancer decreased by another 5 to 27 percent. But that was FAR from all they learned. When the researchers crunched 40 years’ worth of dietary data from both observational studies as well as trials, they also learned how HUGE an impact getting plenty of whole grains… which are naturally high in fiber… could have. When it came to eating whole grains for every 15 grams increase there was a two to 19 percent drop in total deaths. And the same 15 grams sent heart disease, diabetes, and colon cancer risk plummeting by two to 19 percent as well. Folks who ate more whole grains had a 13 to 33 percent lower risk for ANY chronic disease. And in trials when people increased the number of whole grains they were eating, they often lost weight without even trying. But what REALLY matters is how you can put these findings to work for you, of course. You should be shooting for a minimum of 25 to 29 grams of dietary fiber a day. And while there are synthetic and natural fiber supplements available, you should try to get there be eating more fiber-rich foods if possible. Fiber-filled foods leave you feeling fuller and more satisfied. And that means they can help with controlling both your weight and your blood sugar. Plus fiber is a natural prebiotic, which means it feeds your gut flora. And happy, healthy gut bugs help protect your body from all kinds of diseases, including colon cancer. When you can slash your risk of death and chronic disease by eating DELICIOUS foods like these, that’s what you call a no-brainer. So go ahead and start adding more fiber-rich foods to your meals starting today.